The easy Granite Falls walking track in Morton National Park, near Nowra, offers scenic waterfall views with springtime wildflowers. Enjoy a picnic by the lookout. 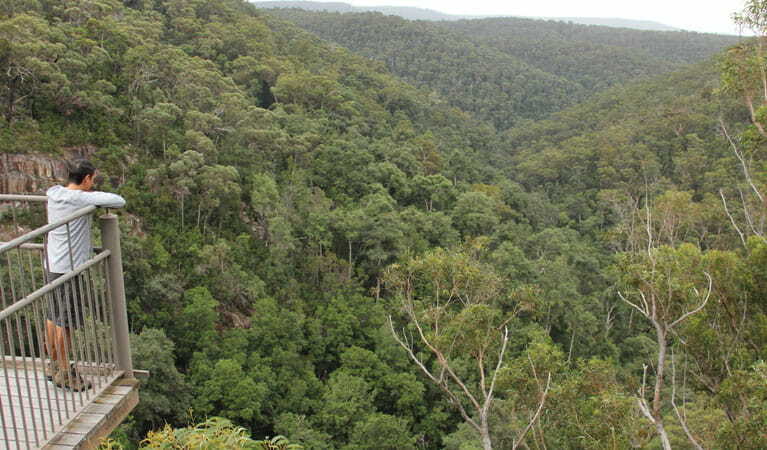 A further 2km along Twelve Mile Road you'll find George Boyd lookout, the short Rainforest walk, and a picnic area. 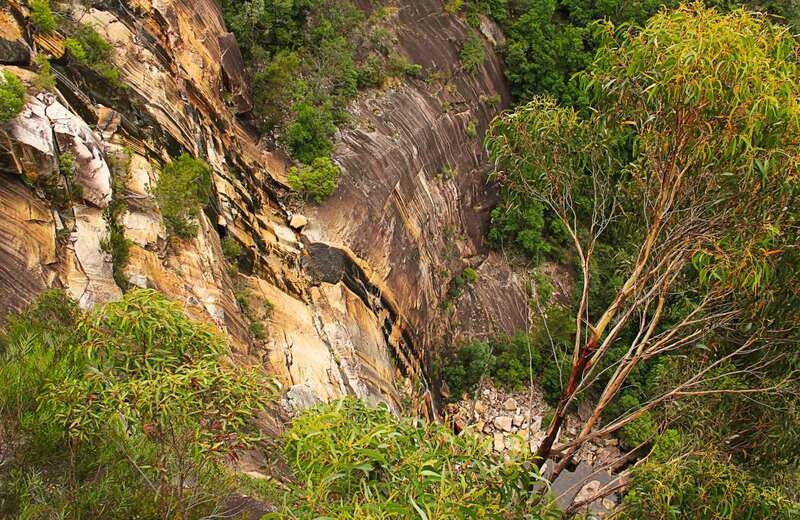 Granite Falls walking track offers an easy amble through eucalypt-dominated bushland. Check out robust stringybark, red bloodwood and turpentine trees as you go, and brush up on the area’s history and geology with the track’s interpretive signs. Your destination is Granite Falls lookout. This fenced viewing platform overhangs a dense green valley and offers scenic views. The 63m-high falls are quite impressive and the unusual granite rock face they trickle down is fascinating to observe. There’s space to enjoy an informal picnic while overlooking the falls. Walking this track in spring delivers the added bonus of blooming wildflowers, including boronias, along the way.